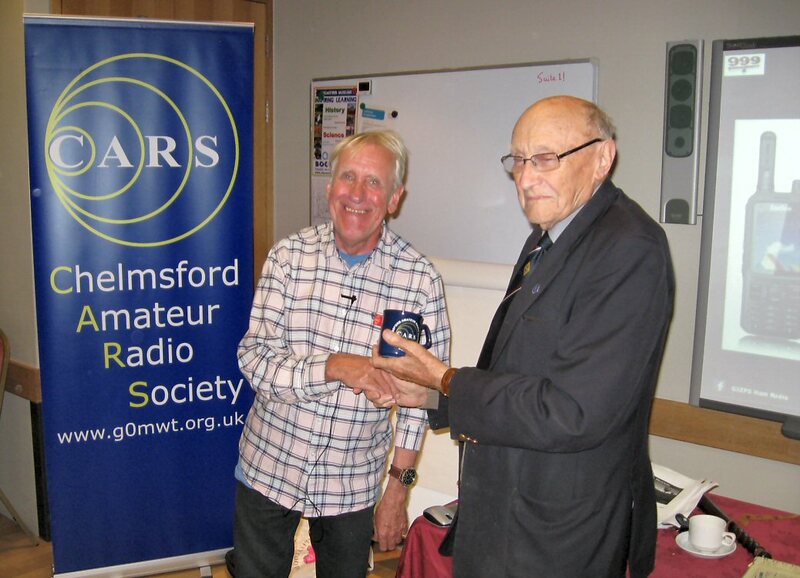 Oaklands Museum, Moulsham Street "Three Short Talks"
This evening started with the recent news that Mark M0IEO was unable to make it, so there was a longer intro covering recent CARS activities, Sandford Mill etc. 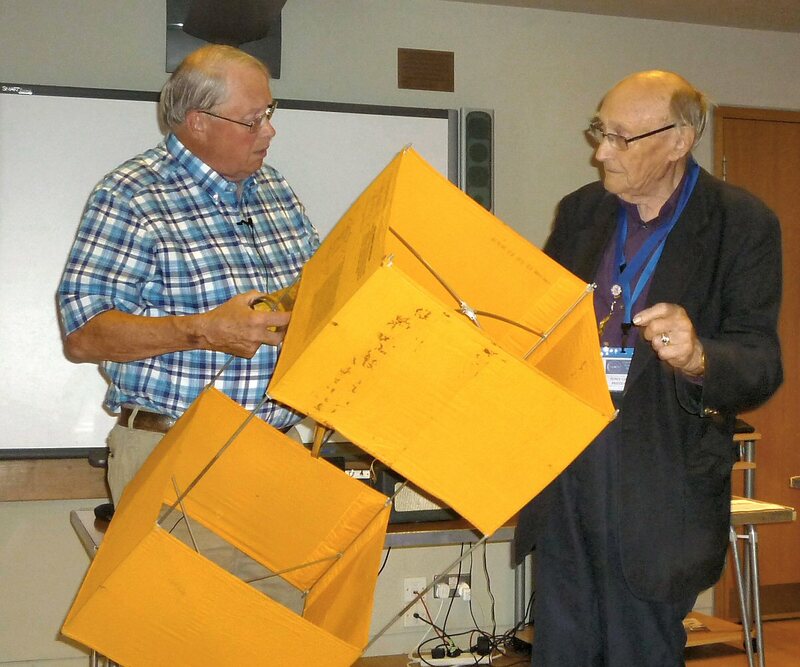 However it also did give rather more time for the Kite talk which proved to be fortuitous. 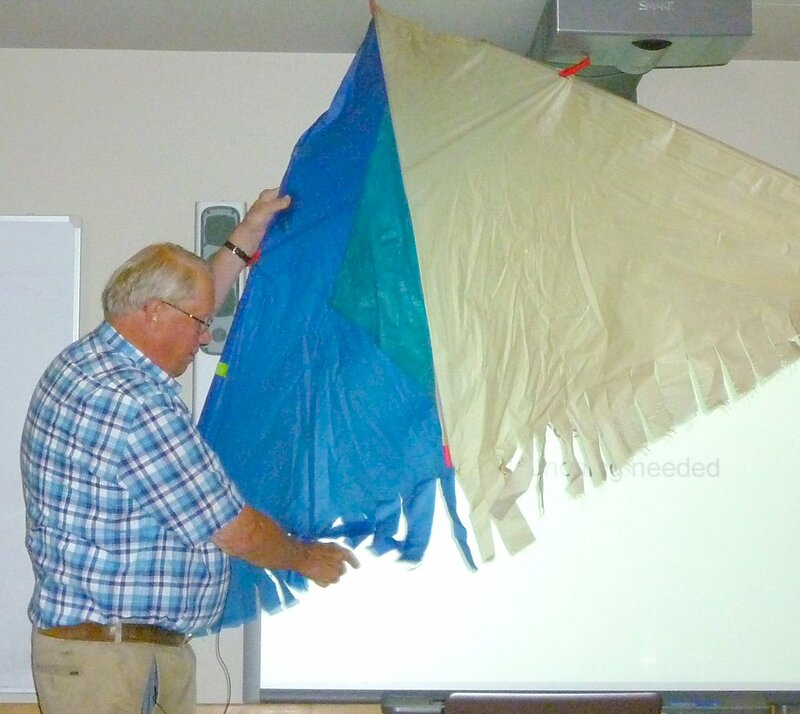 Peter Bridgeman G3SUY gave an entertaining and insightful talk on kite antennas with slides, video and real kites! With full length thin wire suspended aloft by one or two kites, he had great signal reports on top band. 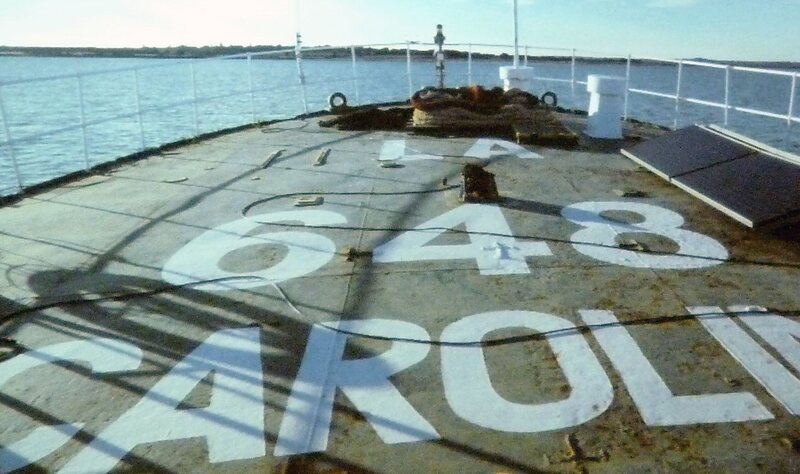 He had flown them from Galleywood, old runways and his boat amongst other places - usually well away from trees. Towards the end of the talk Tony G4YTG brought out his own 'government' kite as well. 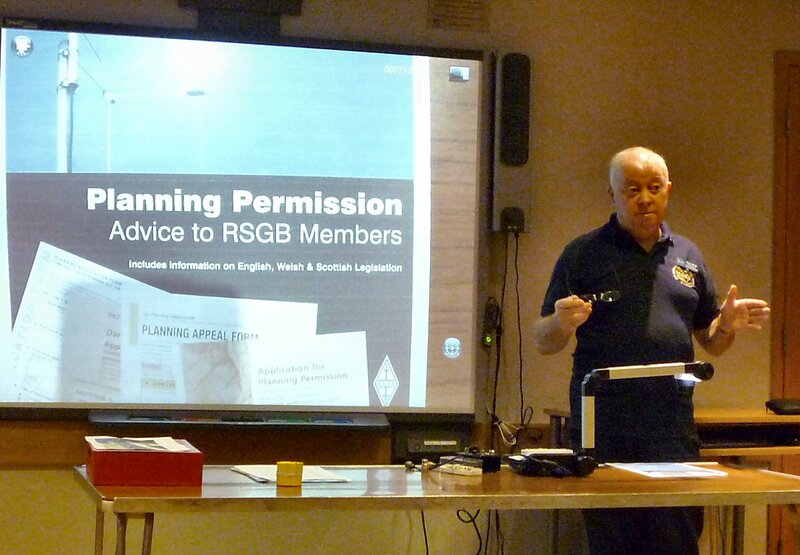 After the tea break and raffle, Peter M0PSD also had quite a visual session on Planning Permission issues, patly based on his time as a RSGB Planning volunteer. 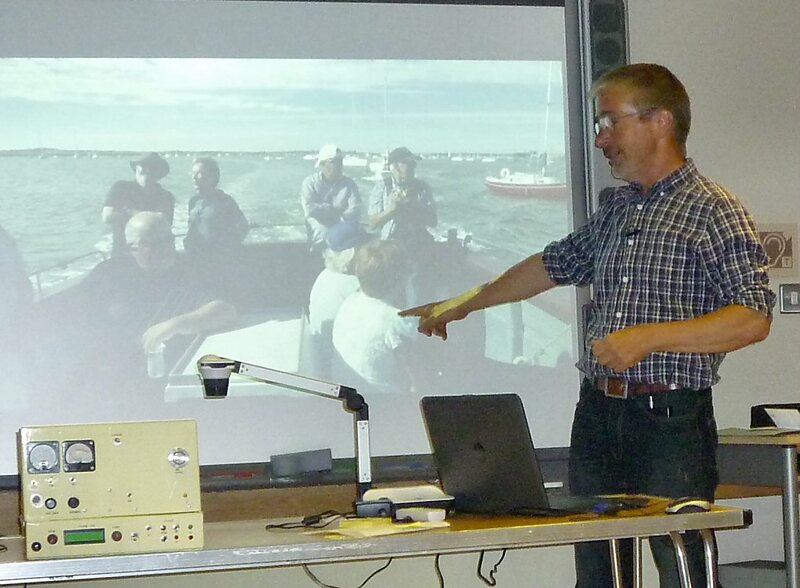 This was laced with pictures, advice and anecdotes and quite a few questions from the audience. Its a topic where nearly every case is different, not helped by variations in local rules. The Q+A took us right to the end of the evening - our thanks for another great topic. And we just finished in time for the World Cup England-Panama penalty shootout victory! 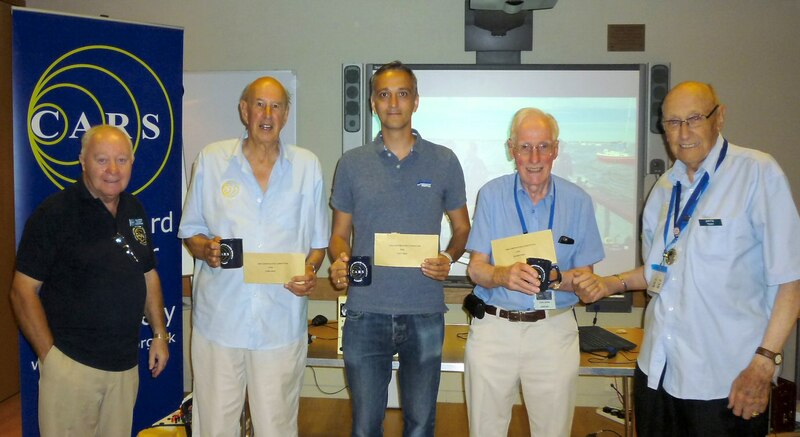 Oaklands Museum, Moulsham Street "Constructors Competition"
The August meeting featured both the annual Constructors Competition and a bonus talk after the break on the recent GB5RC Radio Caroline Special Event Station. CARS accept all sorts of entries (and have done so in the past) from still photographs to video clips. The only real Rule is that it must be electrically SAFE. 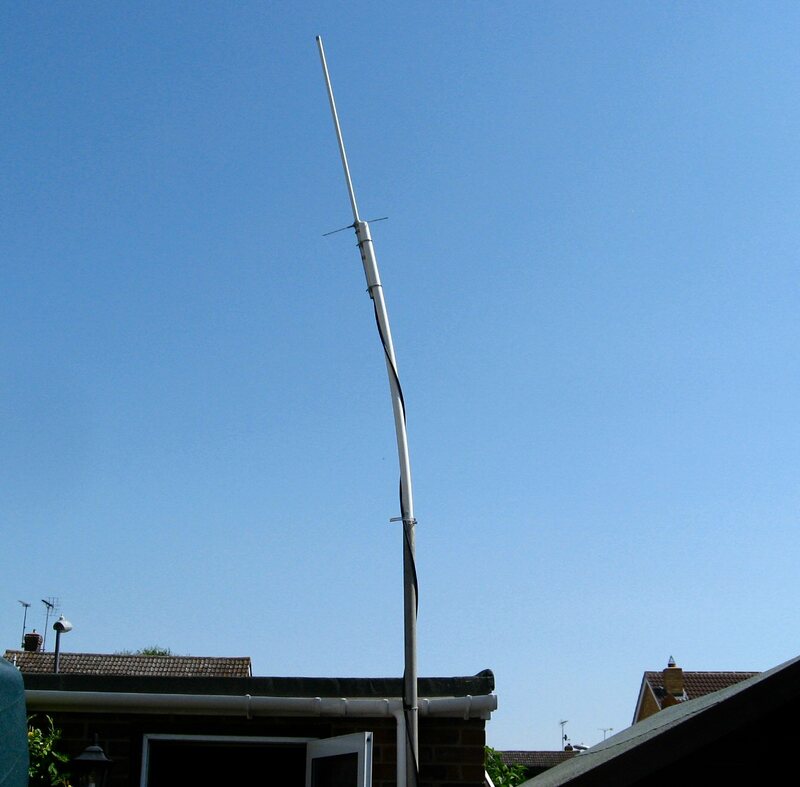 John G8DET - An antenna tale - Dont use a plastic mast in the summer! 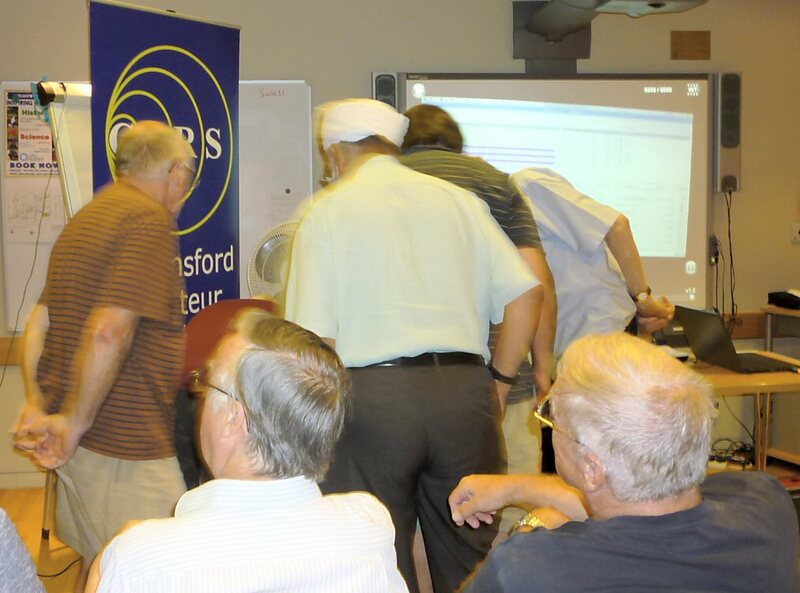 Voting by the audience then occurred over the tea break and raffle. 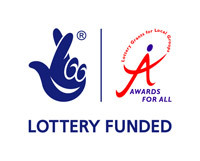 The money prizes are presented on the night and the certificates will be presented at the AGM. 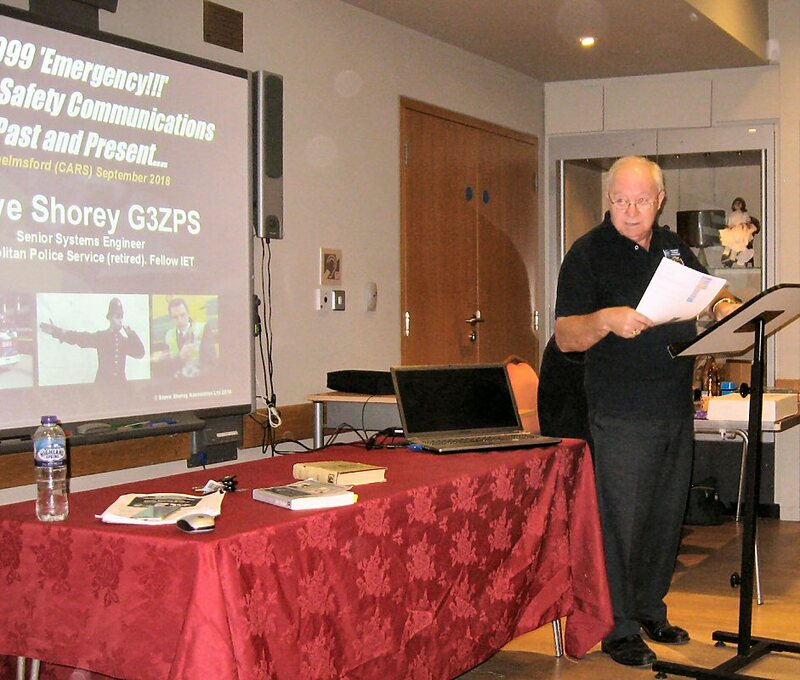 Oaklands Museum, Moulsham Street "999 Emergency Comms"
Steve Shorey G3ZPS gave a talk on the past, present and future of Emergency Communications. 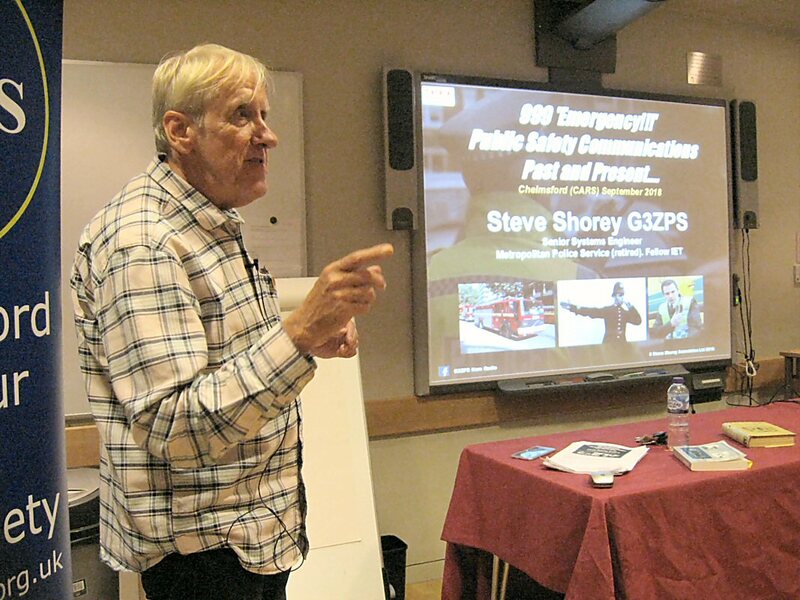 Steve introduced himself by telling us he was the youngest G3 when he obtained his licence at the early age of 16. He started his presentation by giving us an insight to the methods of communication needed if you needed to call for help of any kind. 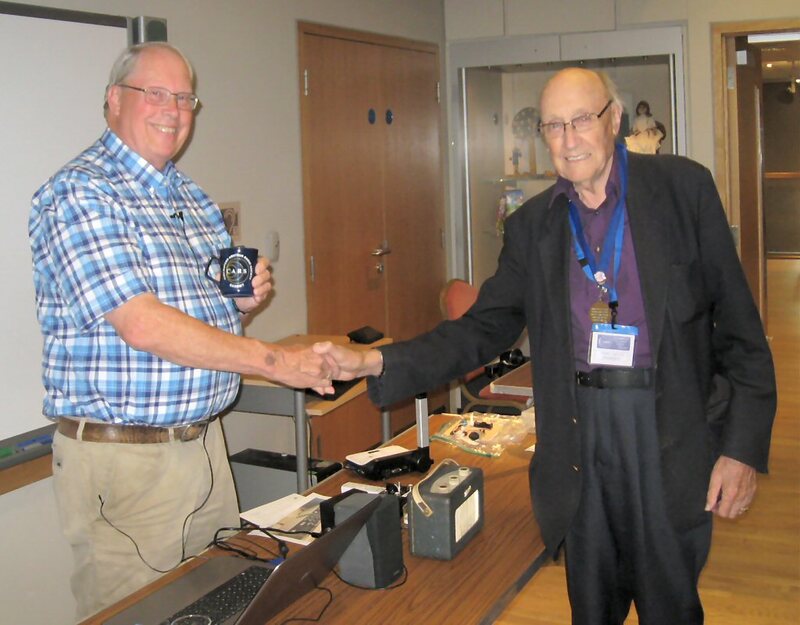 He related all this to the police and how they could communicate with each other to give or get assistance, reminding us of Robert Peel, introducing Bobbies, Peelers, The Old Bill, and other popular names which lasted even to the present day. Police cars were originally fitted with Radios using AM in the 1930s on 2MHz. but were very short range due to RF noises produced by vehicle ignition and all other electrical interference sources. 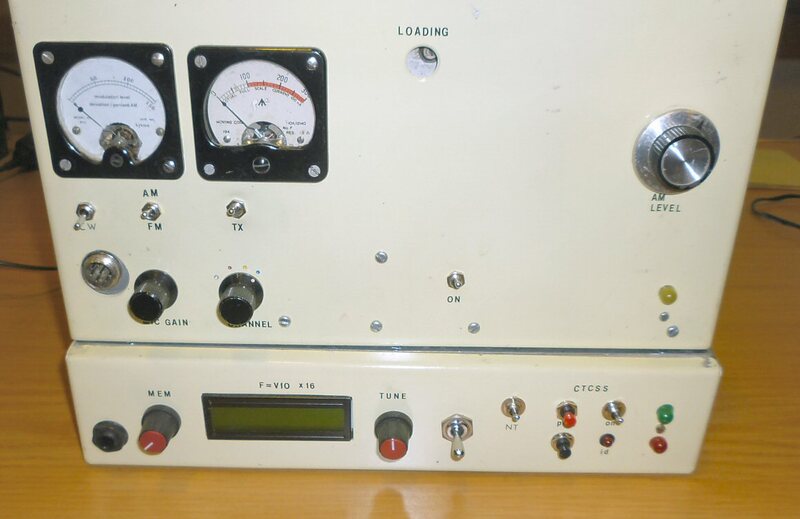 This later evolved to the system used by the police in car and base equipment in a VHF simplex system at the top of the broadcast FM band (90 -100 MHz). In the 1960s Pye produced a range of personal radios, at first separate Tx and Rx, but later combined (Pye pocket phone). At this time the Met were running 30 systems with three or four channels and repeaters . 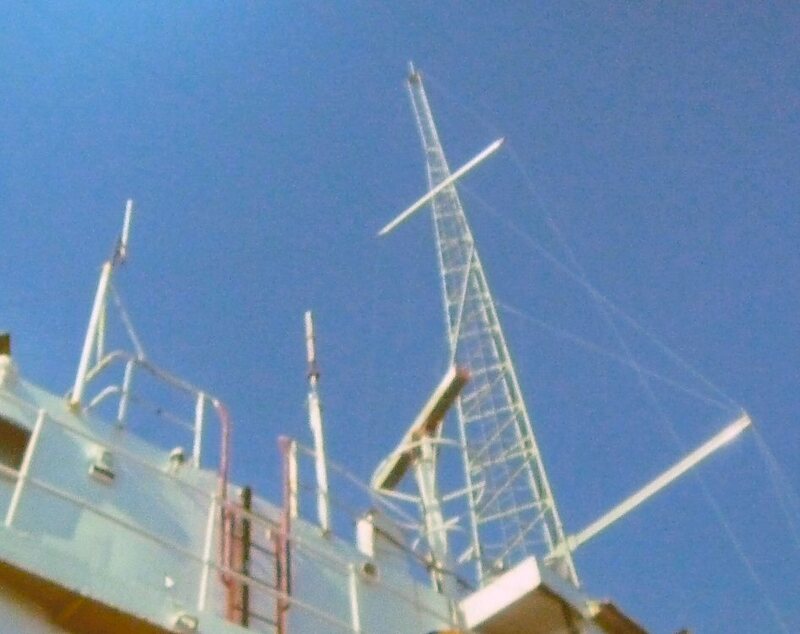 This lasted in to the 1980's when it was moved out of the 100 MHz Band and used 5 repeaters on the same frequency. In 1989 the Hillsborough disaster caused almost total failure of their systems with everyone trying to get through - public and police. The system went into overload, jamming all the channels. At this time Ambulance, Police and Fire were all sharing the same system. The problem was that traffic levels were different in different areas and the usage capacity was not known. Steve undertook the first traffic survey for the Met dividing the area into 500m blocks and recording usage over a period. For the first time the capacity required in each area was known, allowing the planning of channels to be allocated where the demand was. In 1999 systems started to go digital, allowing data and video to be transmitted over many of the networks. 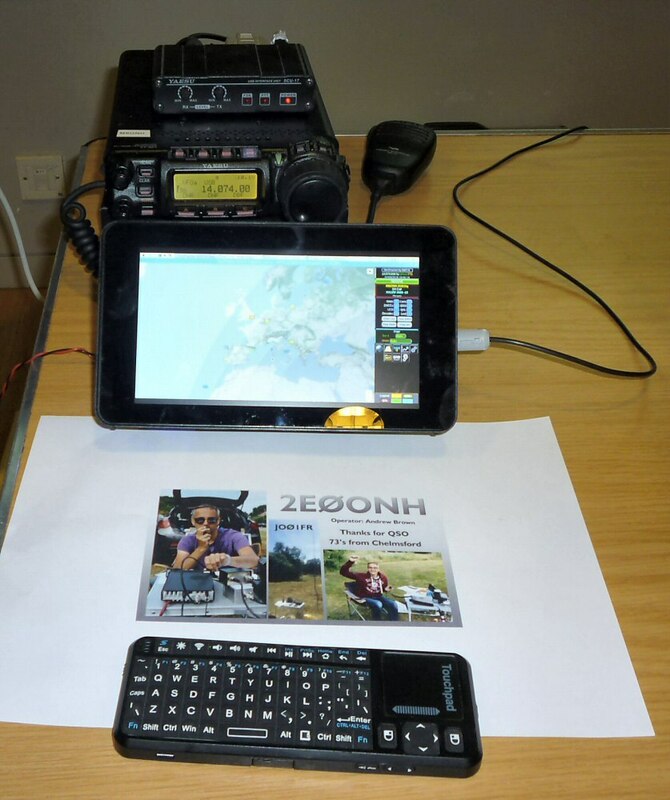 The Police took up TETRA (Trans-European Trunked RAdio), also known as Airwave, uses TDMA which allows multiple users to share one time slot. 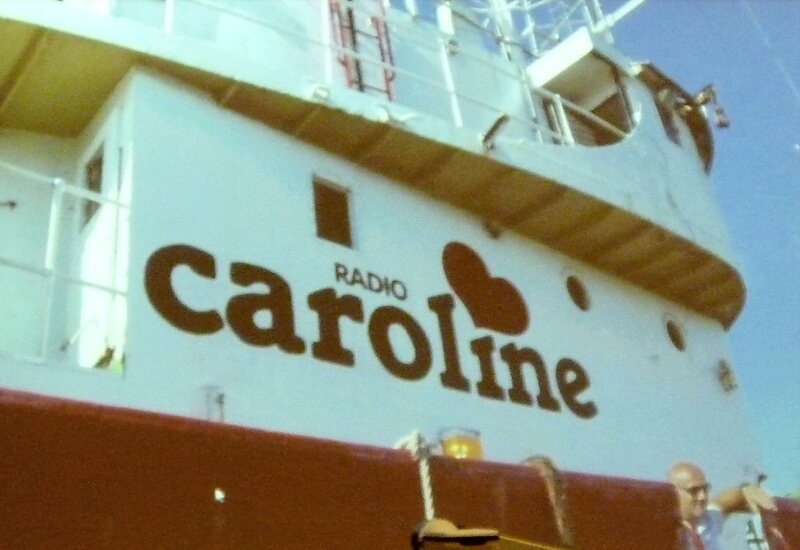 Some 600 stations were used for the London Olympics. However in July-2005 the Tube and Bus Bomb Attack still overloaded the Met system for a while with hundreds of users in one small area attempting to get through. More recently, contracts were placed for a 4G Emergency Service Network (ESN) with comprehensive data and voice services with EE using their Mobile Phone network separate from the Public use, which is still progressing.